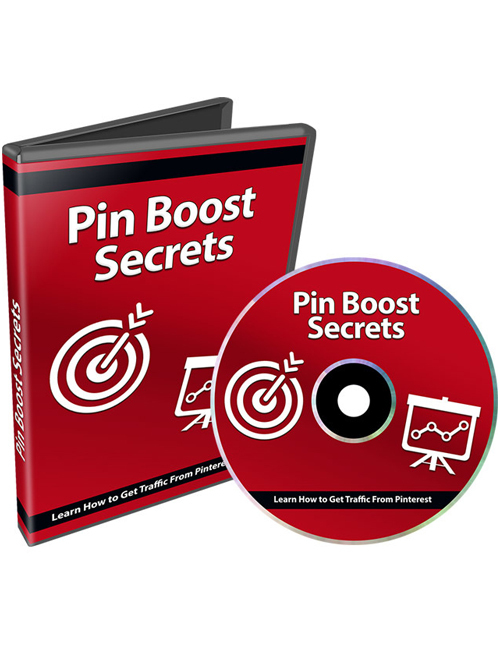 Pin Boost Secrets – Learn How To Get Traffic From Pinterest is a powerful 9 part video course that helps you to understand and engage a monstrous community of targeted users through one of the most powerful social media platforms in existence. A lot of marketers, including some of the most elite marketers, still have not really understood the full power of Pinterest. It’s been reported by Shopify that, based on over 25,000 online stores, customers who came from Pinterest are more likely to make a purchases. This is primarily the reason why business owners should be looking at Pinterest to expand their business. In this course, you’re going to learn how to utilize Pinterest the right way. The right way as used by some of the biggest and most financially successful bloggers in the world who credit Pinterest for their success. Across these 9 videos, you will discover what the Pinterest platform is all about and why it works so well, how to create pin-worthy images that stand out, how to create a powerhouse funnel that converts, studying your competitors to gain significant advantages, top notch automation tools to make the pinning process even easier and much much more. If you want to get a tremendous advantage over your competition and gain a monstrous following then Pinterest is the way to go. Grab this awesome video course now.